Discussion in 'Development Dispatches' started by moo1337, Nov 9, 2016. 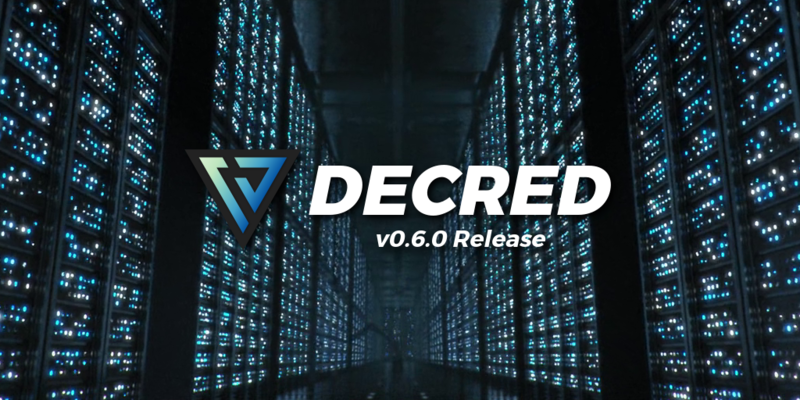 This development dispatch covers work completed since the Decred v0.5.0 release on October 10, 2016. Since then, developers have merged 42 pull requests into 8 repositories (see below for more detailed changes). This release contains bug fixes and improvements for dcrd and dcrwallet. A new block test framework has been added to simplify adding new tests. 380 new block tests have been added with it. Several RPC improvements have been made. A number of voting related fixed and improvements have been made to support future voting changes. dcrwallet now processes transactions atomically. gominer and copay are unchanged. Paymetheus is unchanged but should be updated for the updated dcrd and dcrwallet dependencies. Alexoz, ay-p, shoshin and 4 others like this. Binaries updated and works fine. Good work! Have errors after update，see the pic.How to fix? Thanks. This was not fixed in this release. Next release will have a heavy focus on Paymetheus, but for now try the workaround in the above thread.